The American Veterinary Medical Association, the Centers for Disease Control and Prevention and the United States Department of Agriculture "do not believe that pets are at significant risk for Ebola in the United States," according to a CDC statement on Monday. To put it another way, feat. T-Pain: The chance the average American could contract the Ebola virus from dogs, cats, pigs or other animals is low_3-ar45556">low, low, low, low, low. In the unlikely event a dog or cat does encounter someone with Ebola, it's not clear if the animal would be a risk to humans. As the Washington Post points out, a 2005 study found antibodies in Gabonese dogs following an Ebola outbreak - an indication the animals were exposed to the disease, but not evidence the canines were infected or contagious. For pets of healthcare workers exposed to Ebola - like in Dallas, for instance - the World Small Animal Veterinary Association argues the appropriate response is quarantine, not "automatic euthanasia." 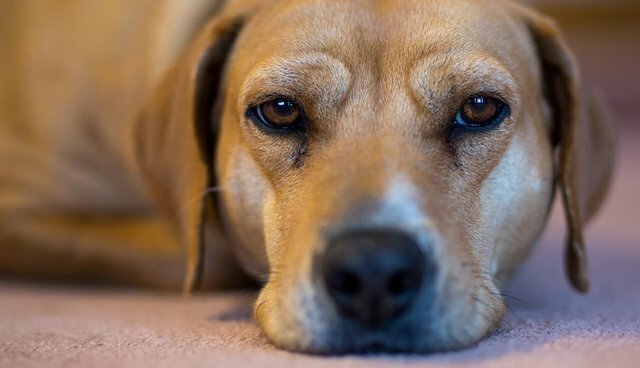 There is no routine test for Ebola in pets, because, as the CDC points out, there would be little reason to perform one. One of the best things you can do this fall is to get a flu shot, if you'd like to be proactive about your health (or that of your furry friends). During the 2009 H1N1 flu outbreak, the American Veterinary Medical Association reports a small number of ferrets and cats caught the strain from humans. If you're feeling a bit under the weather, "treat your pet like you would any other family member," the AVMA writes, and use "good hygiene when you come in contact with them, and limit their exposure to ill family members."